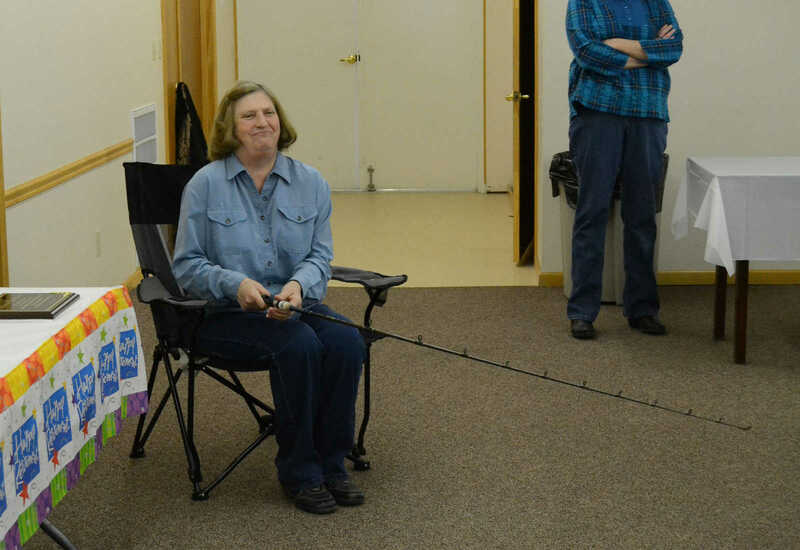 Sharon Sanderson shows off her retirement gifts. 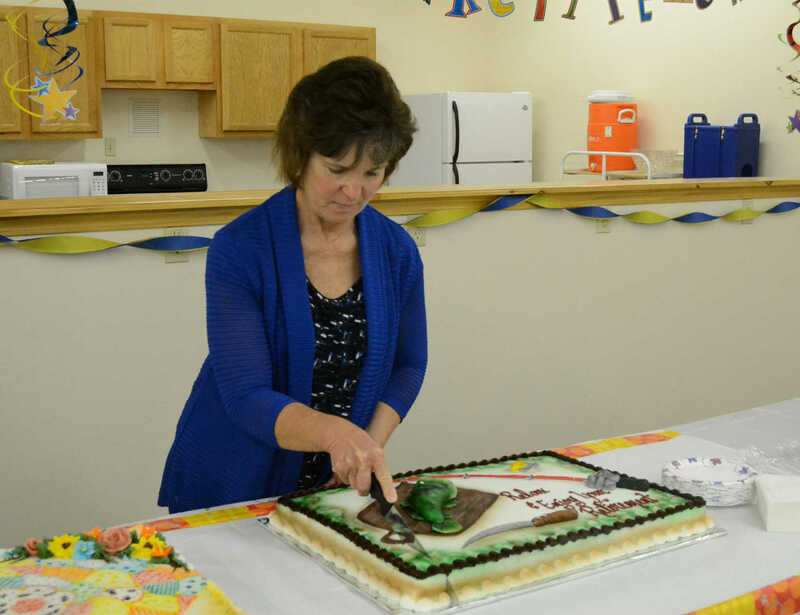 Vicki McKinney slices cake during Sharon Sanderson's retirement party. 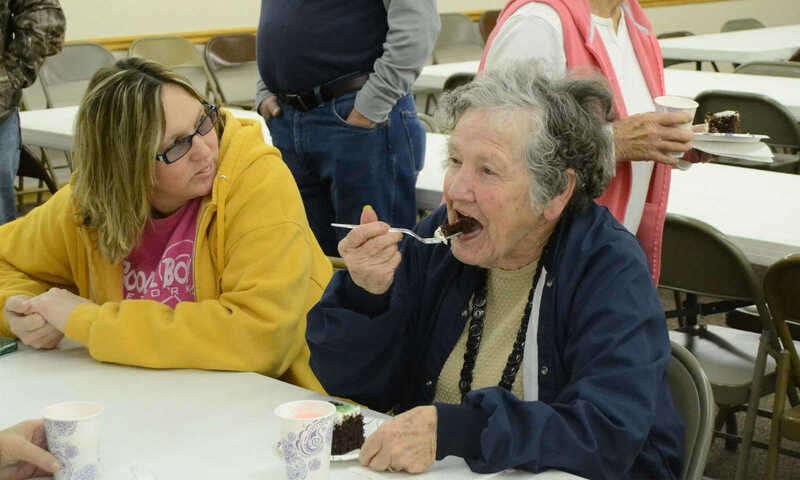 Dorthy Palmer gets a slice of cake during Sharon Sanderson's retirement party. 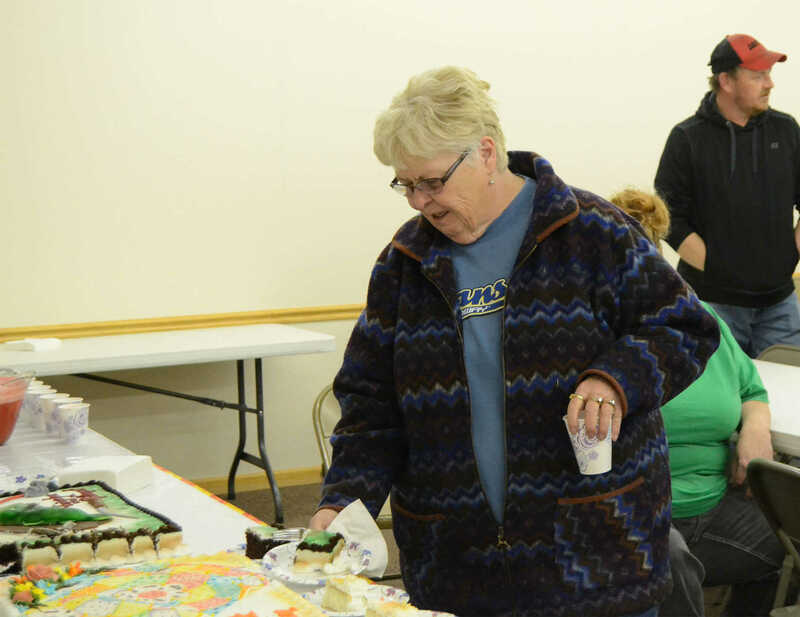 Francis Sanderson takes a bite of cake during Sharon Sanderson's retirement party. Shannon Sanderson sits on left. 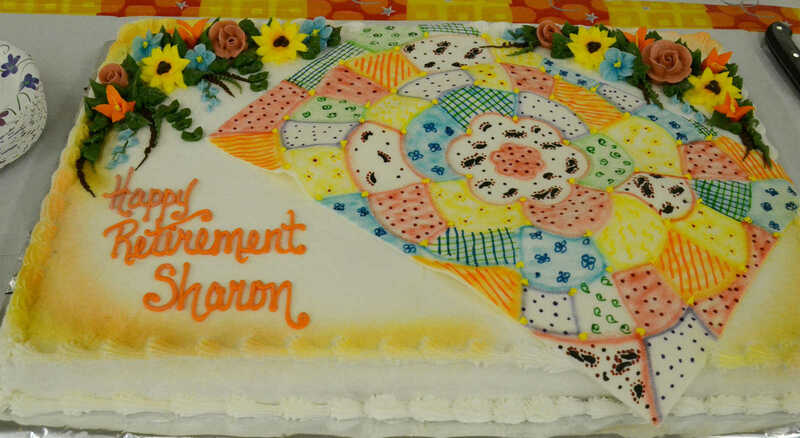 This is one of the cakes at Sharon Sanderson's retirment party.